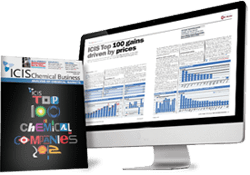 ICIS provides reliable and trustworthy weekly price assessments for propylene in Asia, China, Europe and the US. 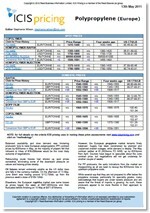 Daily market intelligence is also available for coverage of the Asian markets. Depending on the region, quotations are for spot and contract. Our locally-based expert reporters can provide those involved with propylene or related markets with up-to-date and unbiased intelligence allowing this essential tool to be used in decision-making processes. 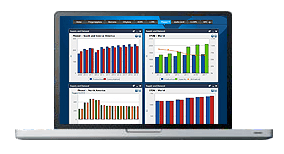 Market commentary gives news and analysis on day to day activity, production updates, upstream and downstream movements, import and export activity and any other key factors influencing prices. Supply was rather mixed in northeast Asia in the first quarter but there was a turnaround in South Korea. Hyosung shut its propane dehydrogenation (PDH) unit on 15 February and restarted around 13 March. The unit is 300,000 tonnes/year. Spot supply from Japan was also said to be slightly long in end February to early March as there were weaker demand from the country’s domestic polypropylene (PP) market. One key standalone producer also shut its PDH on 4 March in China. Demand in China was affected during the Lunar New Year period in early February as many downstream units in the country were either shut or running at lower run rates. While larger production units returned around mid-February, smaller units did not resume running until the penultimate week of the month. In early March, there were some uncertainties in the polypropylene (PP) market as buying was slow in the Chinese domestic market and PP inventory was still seen to be at a high level. European propylene supply was lengthier than expected during the first quarter. A combination of imports attracted by Europe’s higher prices, unplanned derivative issues amid high inventories in preparation for planned cracker and refinery maintenance outweighed a raft of unplanned production issues. Pipeline maintenance hampered attempts to rebalance coastal with inland systems. Floating storage was secured in a few cases as distressed volumes were commanding double digit discounts against the contract price. Overall demand was fairly healthy with domestic consumers having contracted for high volume in 2019 because of concerns over supply during the maintenance period. However, while core demand held up, incremental demand suffered as derivative export opportunities were weighed down by competitive pressure as well as uncertainties over the outcome of the US-China tariff dispute. US propylene supply increased in the first quarter as production from crackers remained strong. Length in the ethylene market and a low ethylene price has encouraged flexible crackers to increase usage of propane and butane feedstocks, which produce more co-products like propylene. Downstream outages, slower consumption into polypropylene (PP) and difficult export conditions also contributed to the supply build-up. Inventories reached an all-time record in late February before slight decline in late March. US propylene demand in the first quarter fell amid slower consumption into downstream polypropylene (PP), derivative outages and difficult export conditions. PP inventories have been building amid slower demand, which resulted in lower production rates and lower propylene consumption in early 2019. Outages in downstream phenol and acrylonitrile (ACN) further limited propylene consumption, while foggy weather early in the quarter and logistical issues following a terminal fire late in the quarter slowed propylene exports. We offer the following regional Propylene analysis and news coverage to keep you informed of factors and developments affecting prices in the Propylene marketplace. Over 25 years of reporting on key chemicals markets, including Propylene, has brought global recognition of our methodology as being unbiased, authoritative and rigorous in preserving our editorial integrity. Our global network of reporters in Houston, London, Singapore, Shanghai, Guangzhou, Mumbai, Perth and Moscow ensures unrivalled coverage of established and emerging markets. Propylene is a colourless, highly flammable gas. It is produced by several routes, the most common of which is as a co-product of ethylene production from steam crackers. Propylene is a colourless, flammable gas that burns with yellow, sooty flames. It is a dangerous fire risk because it is highly flammable and explosive when mixed with air or oxygen. The dominant outlet for propylene is polypropylene (PP). Propylene is also used to produce acrylonitrile (ACN), propylene oxide (PO), a number of alcohols, cumene and acrylic acid. The two main sources of propylene are as a byproduct from the steam cracking of liquid feedstocks such as naphtha as well as LPGs, and from off-gases produced in fluid catalytic cracking (FCC) units in refineries. The remainder of propylene is produced using on-purpose technologies such as propane dehydrogenation (PDH) and metathesis. Propylene is highly flammable and needs to be stored in pressurised or refrigerated tanks.